Besides bringing our favorite leather jackets and boots to the front of our closets, fall requires a few switch-ups in the skin department. As the season changes, so does our skin. That crisp autumn air can be so drying. In all honesty, sweater weather isn't necessarily suitable for skin. As beauty editors, we're well aware of the precautions we need to take. This means swapping our summer staples for more hydrating, rich, creamy moisturizers so that our quest for dewy skin doesn't get deterred. 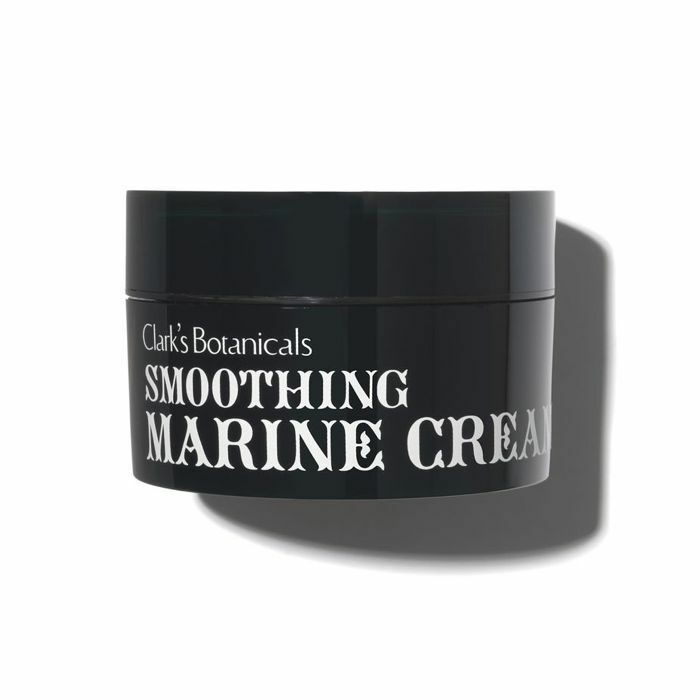 To transition nicely to colder months ahead, protecting the skin's moisture barrier is the number one priority. I surveyed 16 of my favorite beauty editors to find out their all-time favorite fall moisturizers. Keep reading for the winning formulas we love the most for our skin types. 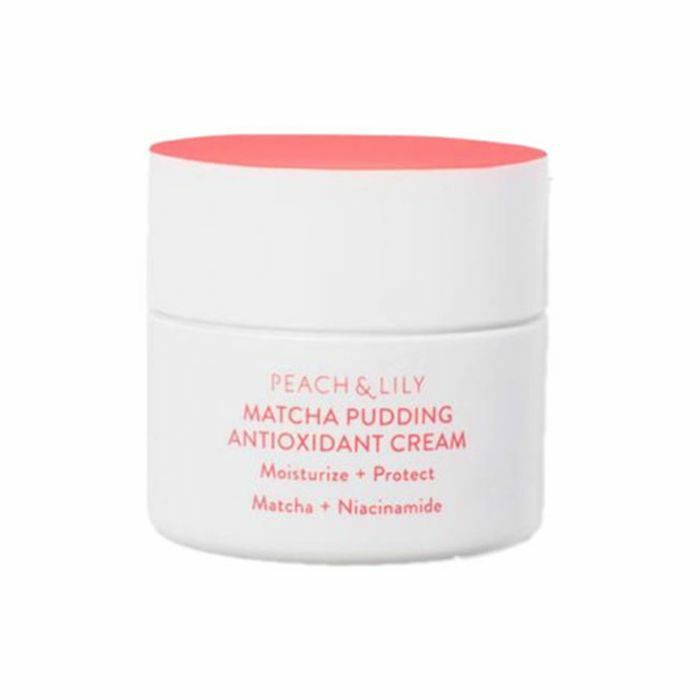 "This moisturizer has an enjoyable pudding texture and is made with matcha, niacinamide, and a slew of other antioxidants to help protect your skin from the elements. I use it as my morning moisturizer and usually add a few drops of True Botanicals Vitamin C Powder to really amp up the antioxidant benefits." 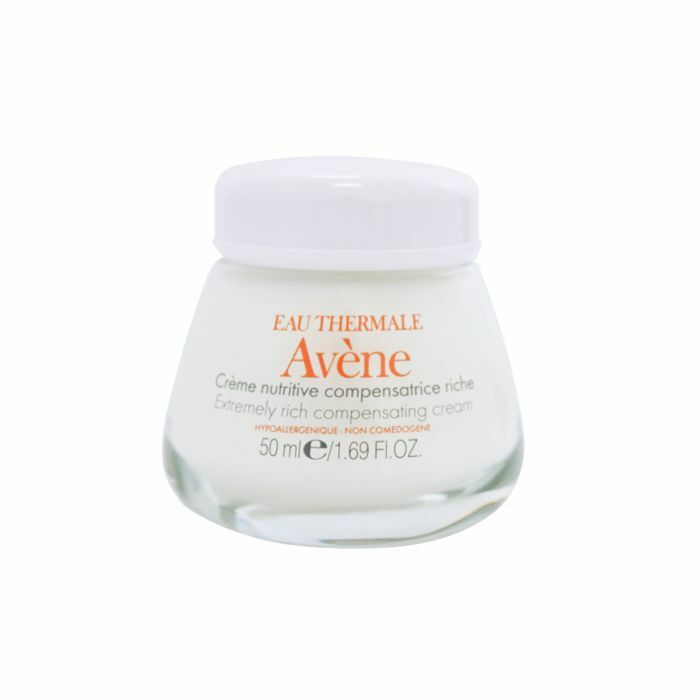 "This moisturizer feels totally luxurious and doesn't feel too heavy for my oily-combination skin. It's made with a potent dose of jasmine and algae to fight free radicals, and glycolic acid so you get gentle exfoliation too (which explains the tingly feeling when you apply). It's the perfect moisturizer for fall's transitional weather and will give you the instant gratification of bouncy, hydrated skin, no matter your original skin type." Her skin type: "I have super-dry skin, especially during the colder months. I typically have to layer multiple moisturizers and oils on my skin so it's hydrated and looks dewy." "Okay, so this is going to sound a bit crazy, but lately I've been using a sleep mask as my daily moisturizer. 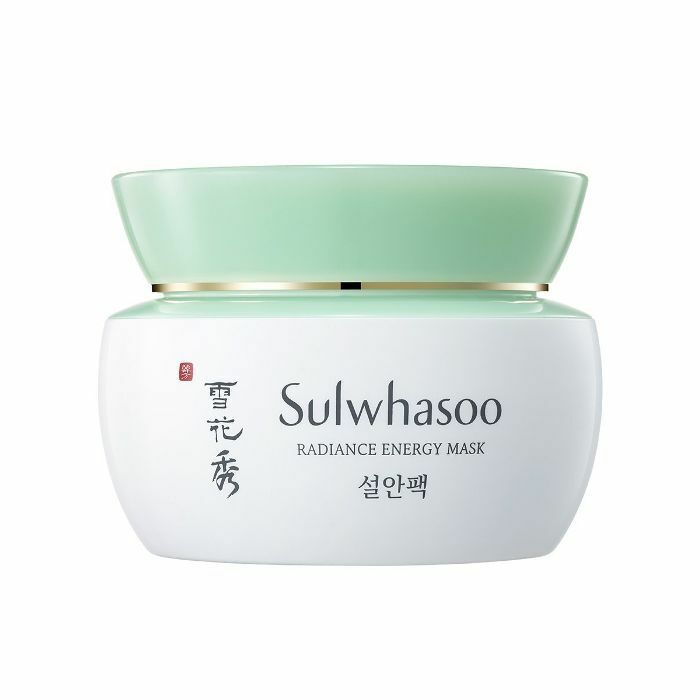 Sulwhasoo (the OG Korean brand) has a radiance energy mask that gives me the perfect dewy finish and is super hydrating. The trick is to use just a tiny amount during the day so I don't look too greasy. Then at night, really slather it on. I’ll for sure continue to use this secret weapon throughout the fall and winter!" "I'm absolutely in love with the idea of using AHAs to dissolve dead skin and induce a healthy glow, and I always notice a huge difference in my skin when I do a peel. 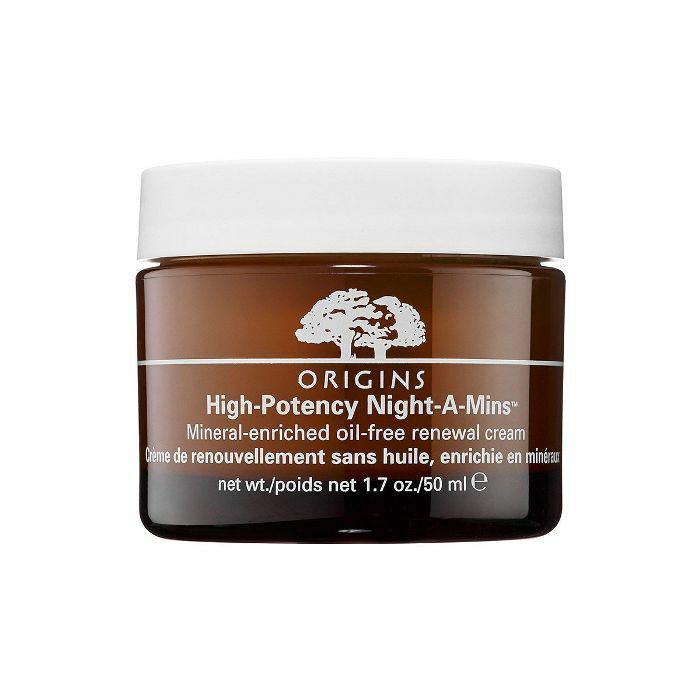 So when Origins sent me the new high-potency reformulation of its Night-a-Mins moisturizer, I was stoked to try something that would exfoliate and moisturize at the same time. I have super-sensitive skin, and this had no adverse effect whatsoever. It tingled, sure, but for me, that indicates that it's doing its job. It also smells like citrus, which is lovely. The next morning, my skin looked clear, bright, and radiant. My only critique is that the moisture component is a little low for me, and I think I need to layer something richer on top, like an oil. I plan to use it throughout the season, especially since it'll help reverse any sun damage I got this past summer (though I was fairly diligent to apply SPF every day!)." Her skin type: "My skin type is very much combination; it's oily and acne-prone, especially in the T-zone area, but then dry patches pop up every so often, and my cheeks tend to be more sensitive and rosacea-prone. I also pretty much always have a few dark spots or remnants of breakouts I'm trying to calm and fade." "Lately I've actually been forgoing regular moisturizer, instead relying on a combination of Peach & Lily Glass Skin Refining Serum and The Nue Co. Topical C for daytime. 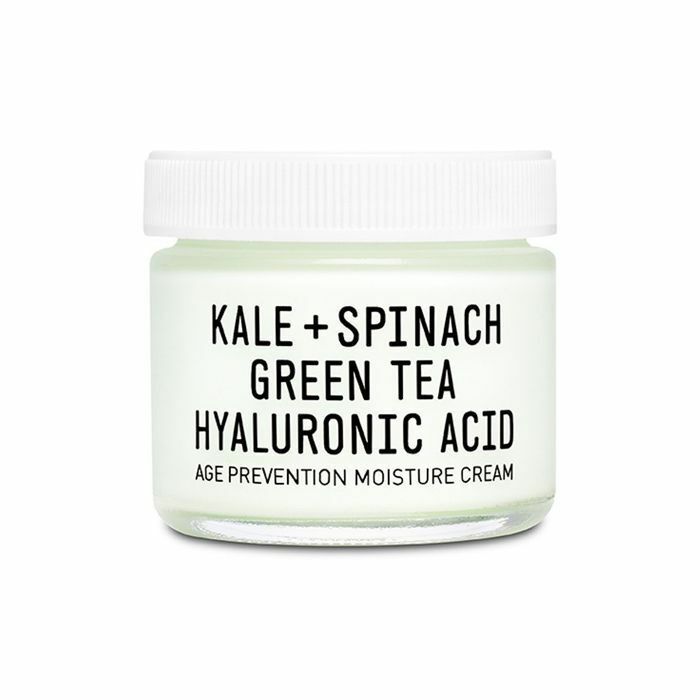 The serum is spiked with hyaluronic acid, so it's hydrating enough that I don't really need to follow it with a moisturizer. 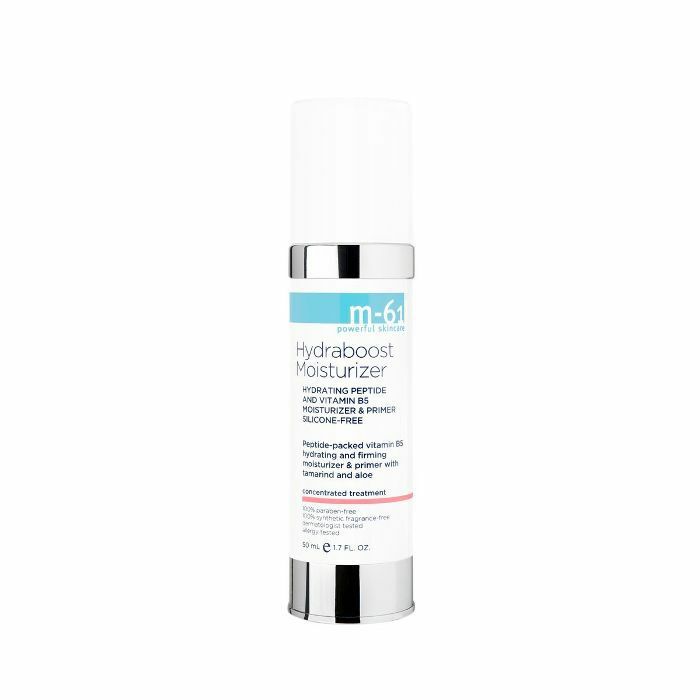 I also love that it has peptides and niacinamide to help with fine lines, pore size, redness, and dark spots." "It already contains antioxidants, but I mix in a few dashes of the vitamin C powder to give it even more brightening power." "As it gets colder and less humid, though, I'll likely start topping that combo with a heavier, more emollient moisturizer, like Glossier Priming Moisturizer Rich or Youth to the People Superfood Air-Whip Hyaluronic Acid Moisture Cream, which are both rich enough to keep flaking at bay but not so much so that they clog my pores." My skin type: "I have really dry, dehydrated, and sensitive skin. My pores thirst for a tall glass of water all the time, and this thirst gets worst in dryer months. I also deal with hormonal acne and get a dark spot from every pimple that decides to arrive during that time of the month." "I met this cream six months ago and haven't looked back since. 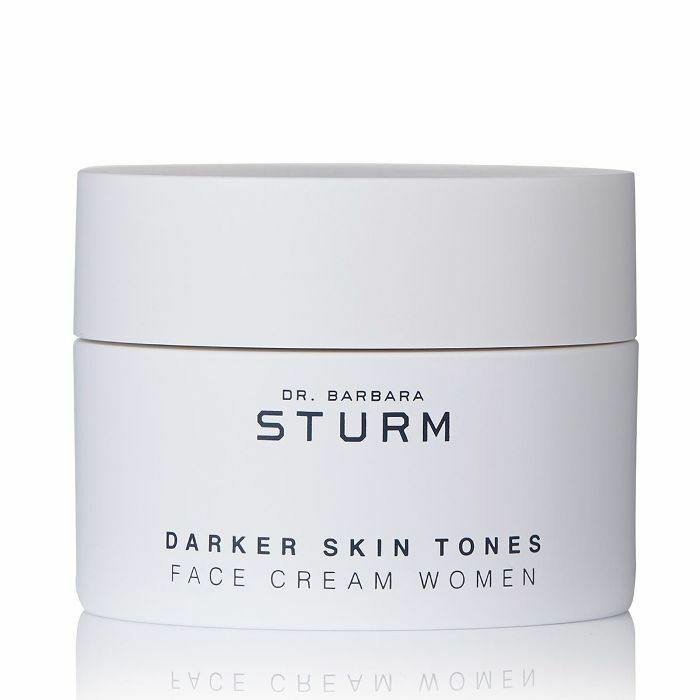 Dr. Barbara Sturm sat a bunch of brown-girl beauty and fashion editors down in a circle at an event and explained to us all of the skin-enriching ingredients swirling around in this cream made especially for women with darker skin tones. 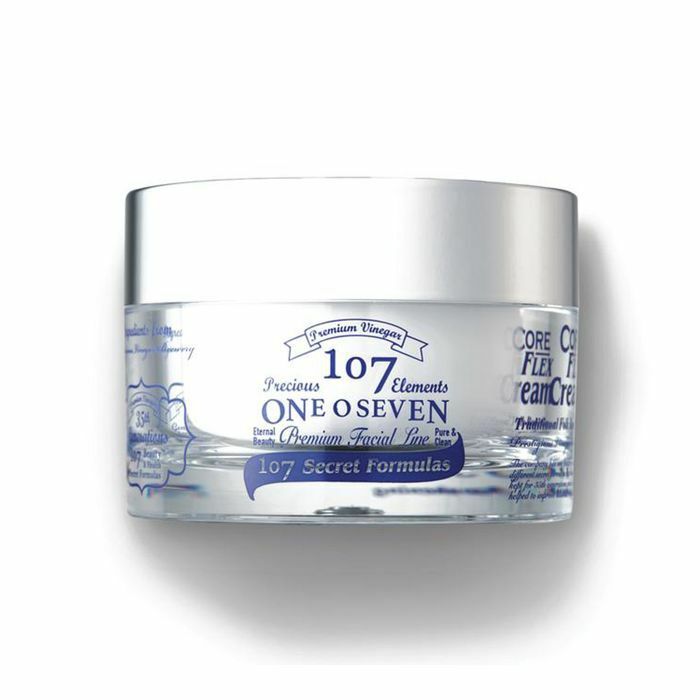 It was originally formulated for her celebrity clients, Angela Basset and Jada Pinkett Smith, and have you seen their forever-young skin? It penetrates every layer of my skin and fades the look of my dark spots over time. "You know how thirsty I mentioned my skin was earlier? 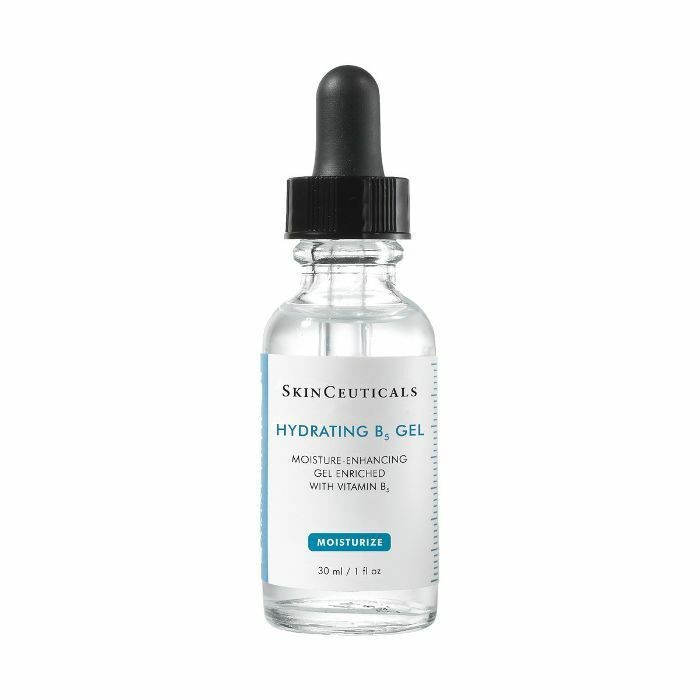 Here's what it yearns for: a vitamin-packed, gel-based serum that gives me the shot of hydration I need. I either mix a drop or two into my moisturizer of pat it onto my skin beforehand. It's a fast-absorbing formula and is lightweight, so it doesn't clog my pores. 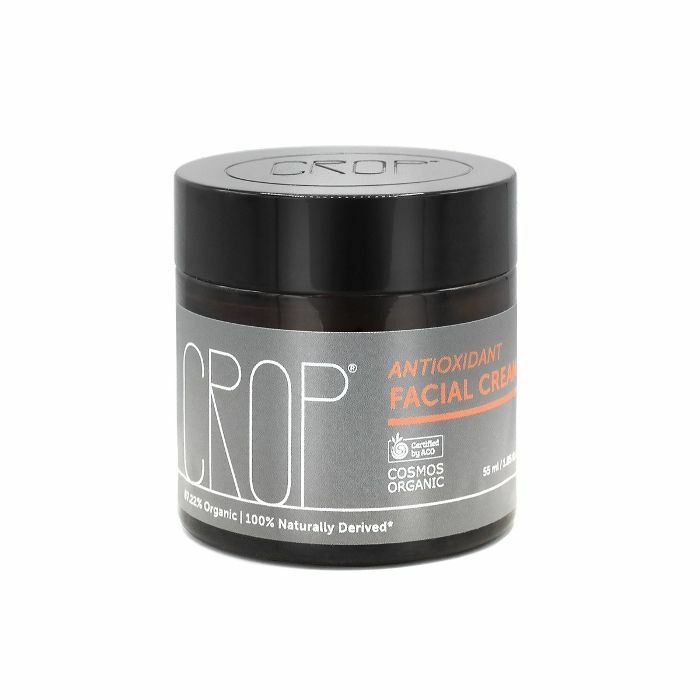 The vitamin B5 and hyaluronic acid amp up the work of my moisturizer to really seep into my pores for extra hydration." 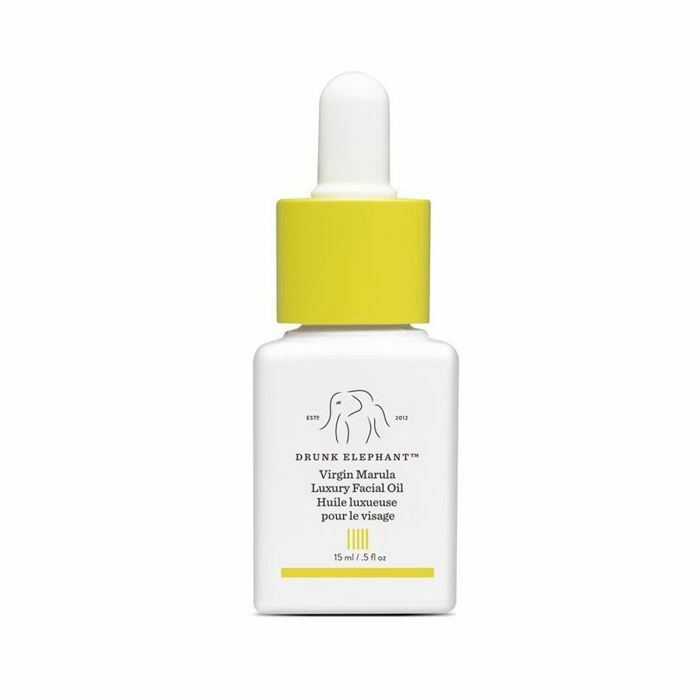 "I've written a love letter to Drunk Elephant's Marula Oil before. The love is still real. It's made of 100% pure, unrefined marula, picked straight from the marula tree, so you can trust that it isn't full of yucky chemicals. I always top my moisturizer off with an oil to seal it in and protect my skin's moisture barrier. I wake up with glowing, happy skin after applying this silky pot of goodness at night." "This has been my go-to for a little over a year now. 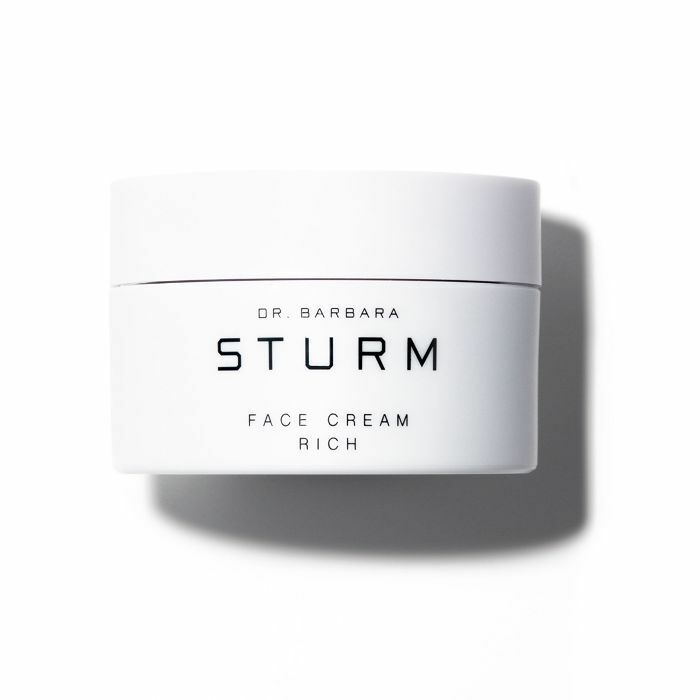 I switch from Sturm's Facial Cream to her Facial Cream Rich when the weather starts to cool down a bit. It's similar in that both intense hydration, incredible dewiness, and anti-aging benefits, only this one is a bit thicker and more cushiony on your skin." "This is a new one for me. I first tried it a few weeks ago after an introduction from the brand. 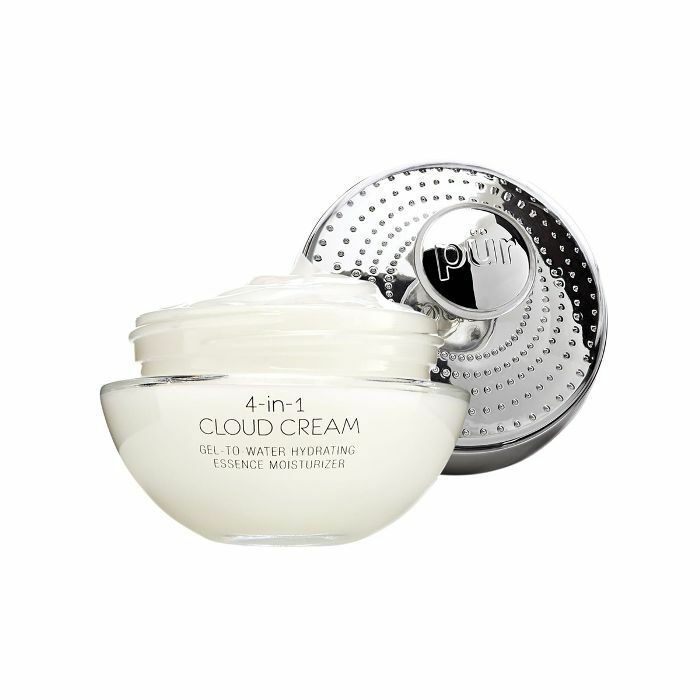 It's a dreamy gel-to-water moisturizer that feels immediately incredible on your skin. As you massage it in, you can practically feel the good-for-you ingredients penetrating your skin's surface and delivering hydrating, smoothing, and soothing benefits." 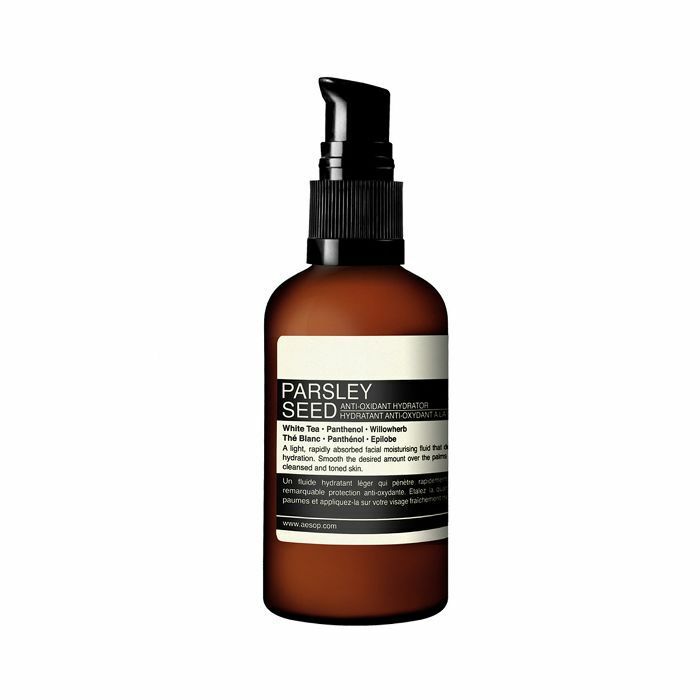 "An oldie but a goodie, Aesop's Parsley Seed Anti-Oxidant Hydrator has been helping me transition from summer to fall for years. It's so invigorating, lightweight, and effective (and the scent, OMG). 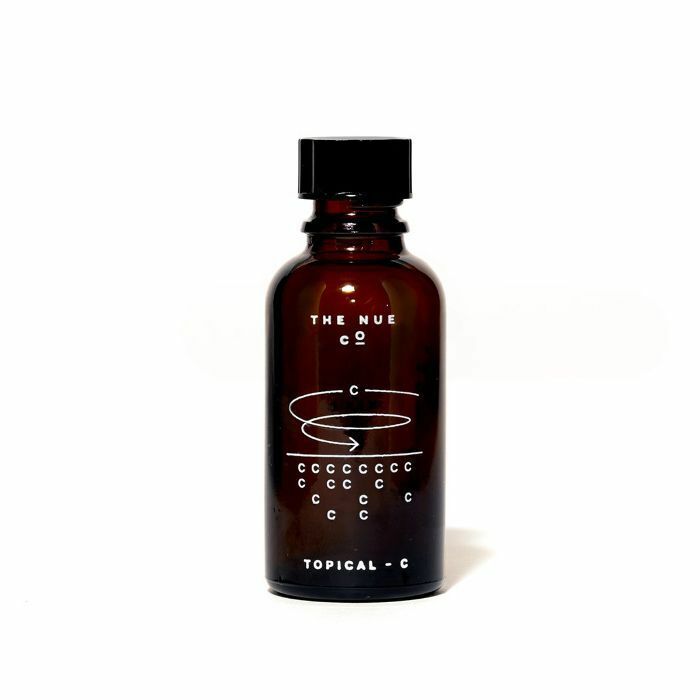 It's perfect following a few layered serums and you're good to go." Her skin type: "Dry AF." 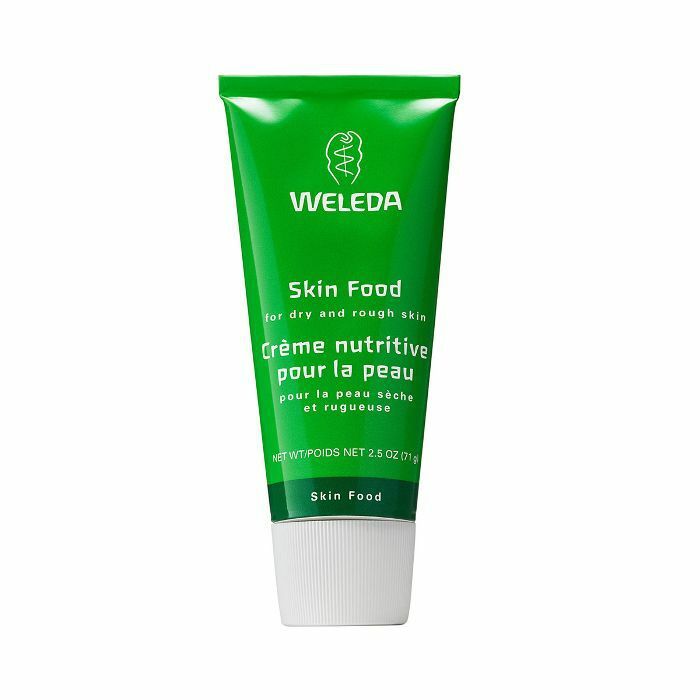 "I never go to bed without pasting my face with Weleda Skin Food, especially in the fall. It has a ton of nourishing, natural ingredients like chamomile and calendula, which helps to soothe my face. My dry skin gets even more parched when the season changes, and this moisturizer is the only one that keeps me hydrated for the entire day. I put on a thick layer at night (on my lips, too) and wake up glowing. It truly is food for dry skin!" "For the fall, I'm focusing less on brightening and more on staying super hydrated and keeping fine lines at bay: Avène's prettily packaged, super-hydrating face cream is doing just that. Glycerin, vitamin E, and fatty acids give the skin a huge drink of water and protect its moisture barrier. It smells very light, feels luxurious, but doesn't break me out. It also doesn't hurt that it's affordable." Her skin type: "I'd have to say normal but oily in my forehead and chin area." 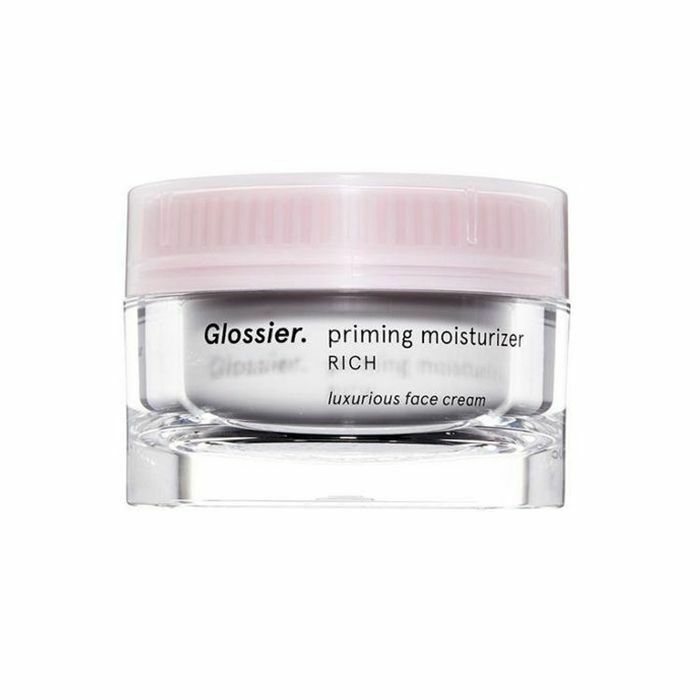 "I'm more into oils than traditional moisturizers (I love Vintner's Daughter and Nyakio's Marula & Neroli Brightening Oil), but I am pretty loyal to Glossier's Priming Moisturizer for day. It's the right consistency, not too heavy or too light, and keeps my cream blush from sliding off." "For night, I'm really into M-61 Hydraboost moisturizer because my skin drinks it up once the temperature drops"
"If my skin feels dry, I up the ante with Shiseido Waso Beauty Sleeping Mask. You'll wake up with dewy, hydrated skin." 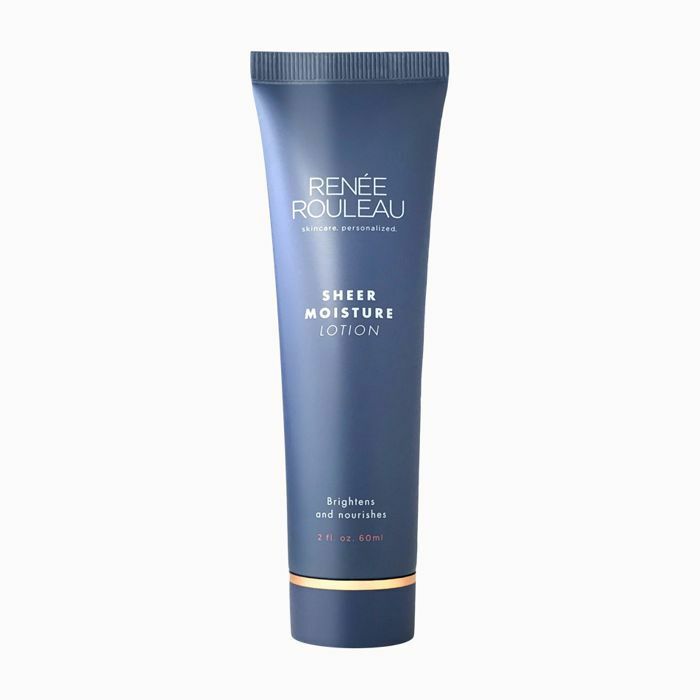 "Renée's lightweight formulation is pretty much the one I'll wear come winter. It's not greasy, supremely hydrating, and doesn't clog my acne-prone pores. I'd be lost without it." Her skin type: "Combination with hormonal acne." "This moisturizer is my morning go-to. Besides it being 100% natural (which I love), this balm gives me the perfect amount of hydration without leaving me oily. 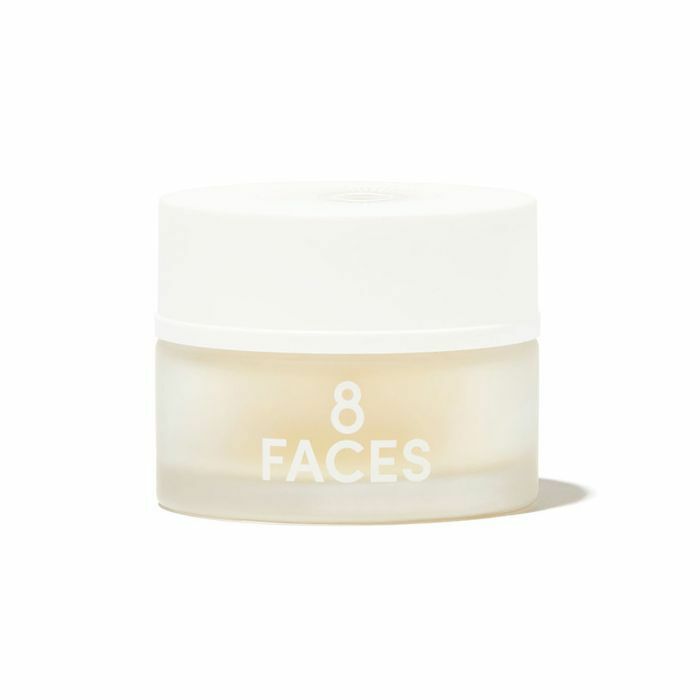 8 Faces is packed with amla berry and babassu oil, which have both significantly reduced the scars and dark spots that I have on my cheeks and chin. Even better, it layers perfectly under my foundation." "Having hormonal acne, I struggle with a lot of scarring. 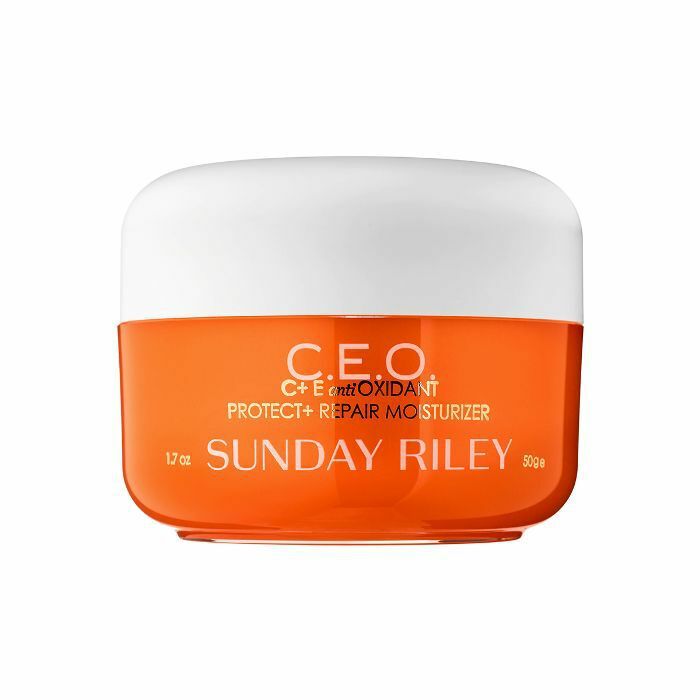 At night after I wash my face, I apply this Sunday Riley moisturizer packed with vitamin C to brighten my skin. If you're looking for something thick and creamy that absorbs rather than sitting on top, this orange-scented cream is perfect for the colder months." Her skin type: "My skin fluctuates between being dry and combination." 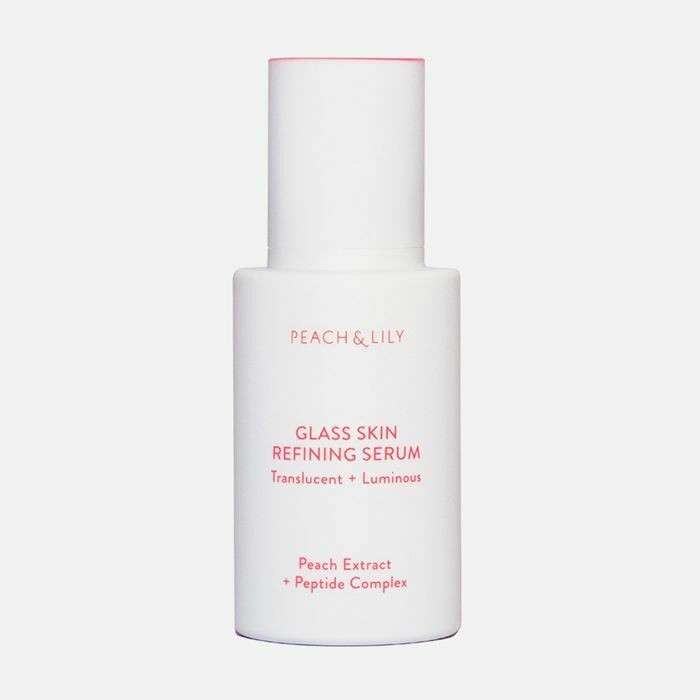 "This moisturizer was introduced to me by Alicia Yoon, the founder of Peach & Lily. She applied it to my skin after an exfoliating facial. Usually, my skin looks red and irritated after any sort of exfoliation (thanks to some moderate rosacea), but this time it was smooth, clear, and calm. Maybe it's the antioxidants from matcha tea, or maybe it's the super-hydrating formula, but I've been a firm believer ever since." "For years I would reach for my beloved Kiehl's Ultra Facial Cream as a basic, failsafe moisturizer, but ever since I found this Crop Natural formula (in a grocery store in Michigan, no less), it's been replaced. There's no greasy texture or overwhelming scent. 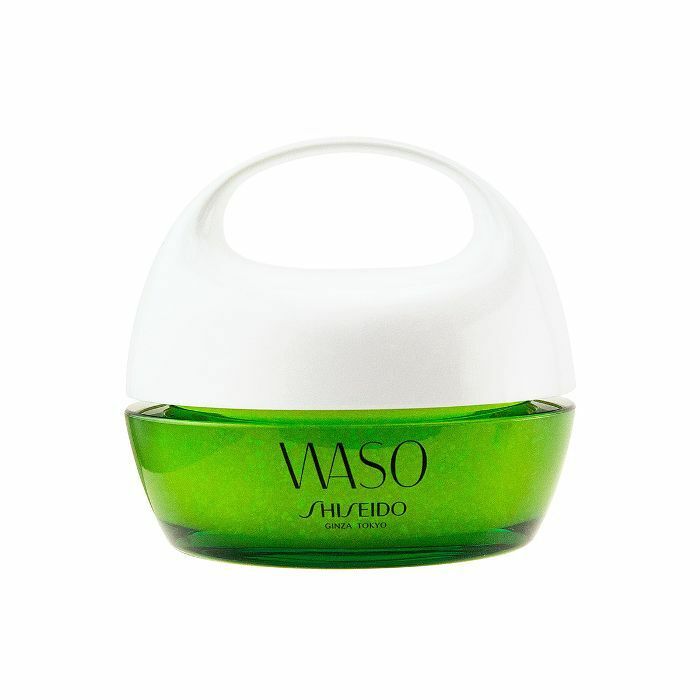 It's gentle and hydrating and does the job." 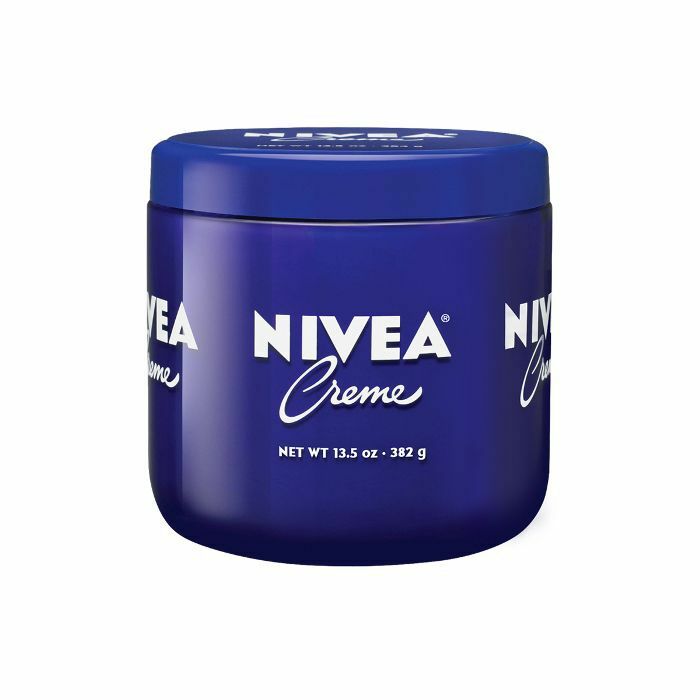 "This is just the rich and creamy moisturizer my combo/dry skin needs for fall and winter. It uses natural oils, along with squalane, fermented vinegar, red ginseng, and pomegranate to provide intense hydration. What I love about it most, though, is that it seems to markedly improve the appearance of redness in my skin." 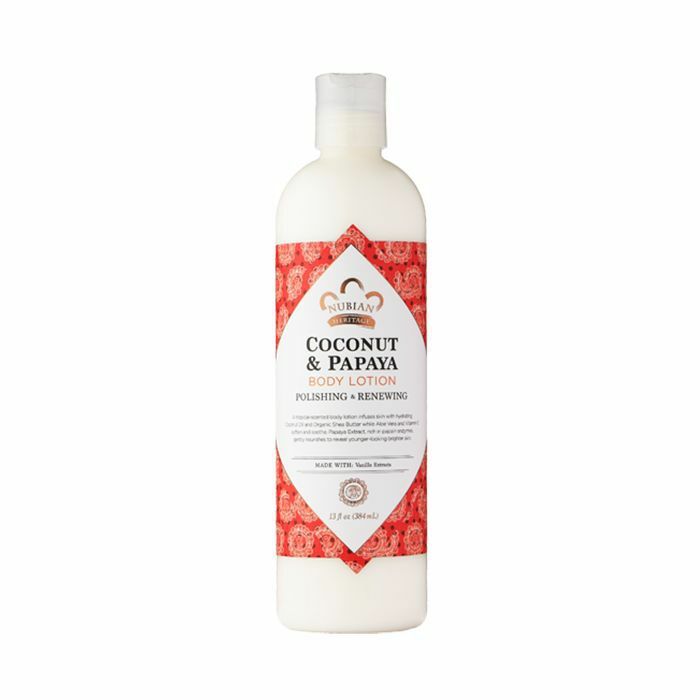 "I love the thick consistency, how well it moisturizes, and how affordable it is. I keep a small tin in every bag and don't hesitate to use it all over. It really saves my skin during weather changes and helps me stay consistent with my skincare routine." Her skin type: "My skin type is… ashy when it's not moisturized, and that's really all I need to know. My skin also gets really dry in the fall and winter when I wear jeans and stockings and it makes the hair on my legs itch. TMI? Deal with it. So I am a huge fan of rich lotions that I don't need to reapply a million times." "This is so rich and the smell is amazing. I love when my lotions have a fragrance because I like to have that layer of nice smell before I put on perfume. Plus, I don't have to apply this again." 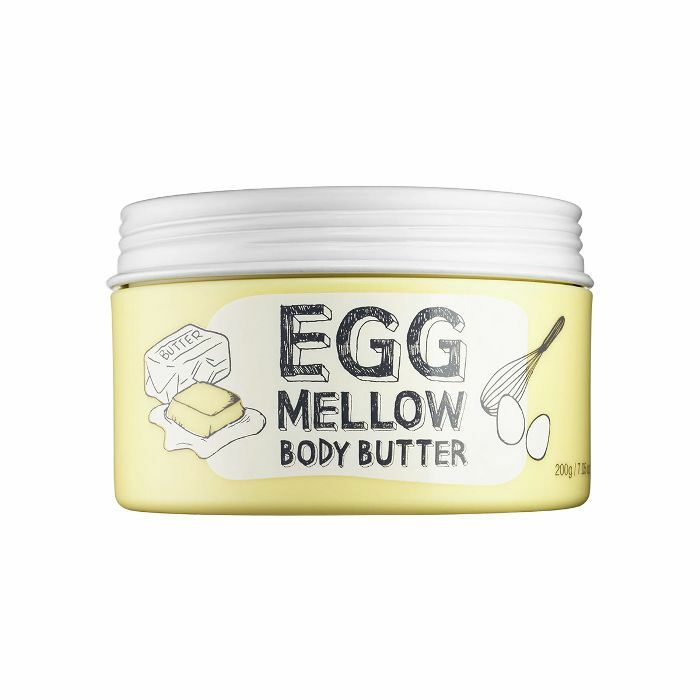 "Another favorite is the Too Cool for School Egg Mellow body butter. You wanna talk moisture? This stuff is READY to keep your skin hydrated all day. Also, it smells good, but the fragrance isn't so strong and concentrated that it irritates the eczema that sometimes pops up on my hands." "It's laced with tetrahexyldecyl ascorbate (THD ascorbate), a highly effective stable form of vitamin c that isn't irritating. It's thick, emollient, and creamy—everything my skin needs in the fall and winter." Up next: This is exactly how Team Byrdie switches up their skincare routine in the fall.